Hello my dear wolfiers and welcome to the new post on Stalia is BAE! This post will be recap and my reaction to previous three episodes of Teen Wolf's season 6B which are 11th, 12th and 13th episodes. There's no perfect way to start off this post because there are so many things that happened in these three episode that I cannot just describe all because it would took me so much time (you know I am writing too much about every single thing and I don't want to became boring to you). So, the thing that shocked me is that the Beacon Hills people and high school students are going to be attacking everything supernatural in this season in order to protect themselves. The fear in people has been born and I think it will take a lot of time and effort to prove them that not every monster does monstrous things. People see just one version of these things that happened recently in Beacon Hills. They see the version where Scott, Liam, Malia, Lydia... Every single one of them seems like a threat to people. They are scared and that makes them do bad things without thinking if there's another version of the story they are being part of. What annoys me is that Gerard is back and he's making a new hunter, as well as making people believe everything supernatural is bad. I don't understand... After everything he saw happening in Beacon Hills, he still thinks werewolves, banshees or Hell Hounds are dangerous to innocent people? He and Malia... They are feeling something for each other? 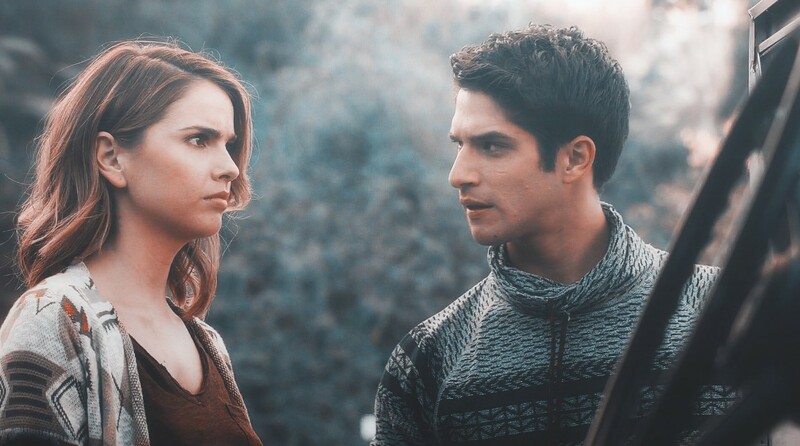 In these three episodes there were A LOT moments where you could catch Scott just looking at Malia and feel that intense silence between them. Lydia seems to have some kind of connection with Parrish I cannot explain, and I think that Marrish is endgame. What do you think about that? What's going to happen with Stiles? He left Beacon Hills but everything is pulling him back to that mysterious place and I hope there will be a lot of him in this last season. Saying ''this last season'' made me really sad. It kinda hurts, doesn't it? I'd love to hear your opinions in the comments down bellow about new episodes of Teen Wolf and please tell me what are you expecting to happen next? Well... Hello my dear wolfiers! It's been a while, almost six months since I have published a post on this blog. That was the time when we were waiting for the next episodes of Teen Wolf and they are almost there! On July 30th, the first episode of season 6B will be released and I cannot wait for that... Especially after seeing the new trailer. We'll talk about the trailer later, but now - happy 2nd blog anniversary of Stalia is BAE. I honestly cannot believe it's been two years since I have tried myself in blogging and fell in love with it. Although I wasn't active on this blog recently, I have opened another blog which you may know about and it is called Living Like V. There I wrote about lifestyle, beauty and fashion. This blog was like a 'springboard' for me in blogging journey. After I realized I like blogging and writing, I decided to make that blog which is more personal blog than this one is. This blog is actually about one subject only so when Teen Wolf will be finished, I don't know would you like me to continue writing here? I don't have ideas what should I write here when the TV show will be finished but, if you want me to, I can share with you new poems that I would write just for you and this blog. I just want to thank you so much for helping me find myself in blogging , helping me to start off this amazing journey which I will never regret doing because I really enjoy it! Wow, I got too emotional haha, now let's talk about more seriously stuff - like a new trailer for Teen Wolf. Honestly, I need to start off writing about it with the part that I was shocked the most about - Scalia kiss?! WHAAAAAAAT?! There are so many questions I could ask right now but I won't find out the answer before the show starts and that makes me so nervous. I was 100% sure Stalia would be the endgame, I was actually expecting something like a my way of happy end - Stalia wedding or something like that, but DEFINITELY NOT a Scalia kiss! What do you think about it? Could it just be a dream... or not? I am hoping too much apparently but there are also thoughts in my head which say that Scalia as an endgame wouldn't be that bad idea. Why? Because it means like Stiles and Lydia are meant to be together at the end ( I don't like that idea but oh well...) and Malia would be left alone... Unless she ends with Scott who has always take care of them all, but of Malia, too. I have watched some of youtube videos about Scott and Malia, and I have actually realized they had something going on between two of them since the very beginning. Maybe they were only the looks they gave to each other, but they seem to have much more to say than to be a friendly looks. I guess we will have to wait to find out! So I guess that was all I wanted to say today! I will be posting my reactions to every episode of Teen Wolf that are left to see, I think, so get excited about that! I love you all so much and thank you again! Hello my dear wolfiers and welcome to the new post on my blog! This one is going to be recap of the last two episodes of Teen Wolf (7th and 8th) together because I didn't do the post separately for the 7th episode but I decided to publish this post as soon as possible because I am starting school at Monday after the short winter break. Oh God, I wish we have at least one week more! So the past two episodes of Teen Wolf were pretty amazing because I love the style of Teen Wolf in season 6. I am so happy they didn't give up on Stiles and I love the fact they all are working together (as always but this time without Stiles) to actually find him. Although at the end of the last episode they were losing hope in beating the Ghost Riders because their mission to find the rift to the Wild Hunt so they could find Stiles there, Sherrif Stilinski remembered everything and his wife disappeared as soon as his memory of Stiles came back , which gave hope to the pack because Sherrif saw Stiles for a second in some kind of rift to that world. They came up to the idea of remembering everything about Stiles would lead them to the entry to that world. Scott has a plan to turn Stiles into a werewolf so he could get him back. That's the only chance they have and , although I am so excited about the possibility to see Stiles into the werewolf shape, I am worried about how would he accept it. I think Stiles wants to be some kind of supernatural creature to feel like he's the real member of the pack because couple of times he thought like 'How am I supposed to fight the supernatural creatures?! Scott and Malia have their claws , Lydia has her voice of Banshee and Kira has her sword. What do I have?' but I think to be a human running with wolves, you have to be the best. Literally no one is intelligent like him, he makes awesome plans and I just... I think his character is incredible! I am sooooo excited about the next episode! Are you? Hope you've liked it! Love you all! Hello my lovely wolfiers and welcome to the brand new post on my blog! It's time to say a word or two about 6th episode of Teen Wolf's season 6 that came out last week. Well... Firstly, I wasn't sure if I was watching some horror movies with our pack acting in it or an actual episode of Teen Wolf... And I absolutely love that scary touch the new episodes of Teen Wolf recently got! I am not sure how you feel about it wolfiers but I totally like it! As soon as Lydia got her visions in the form of dreams, our pack decided to visit a mysterious town called Canaan. As soon as Lydia, Malia and Scott got there, they realized something was wrong with that place! It was pretty scary because they started to hallucinate and see the people they love or used to love. The scene with Malia and her adopted family was so scary but yet so sad. When Theo came, I know he's going to get back to the show and I don't like the idea of having him around our pack in such a stressful and dangerous situation they are living right now, trying to find a way to remember all about Stiles and save him. Anyways, at the same time, Melissa and Argent were having a big problem. Argent's wounds won't heal and he needs a cure as soon as possible. But, to make the cure, Melissa needs multiple herbs of which Argent knows names only in Celtic but Melissa succeed and Argent is alive and yeah, we are all happy! The pack is still in 'Ghost Town' and they are meeting a little boy who leads them to mysterious house where they find a lady who seems pretty excited about their visit. She says no one has visited them in ages and she is being pretty kind to them. Until they ask her why is there no one in Canaan left except her son Caleb and her. They tell her it must've been that the Wild Hunt took them and she keeps saying no one took them but they left. Finally, when Scott and Malia are trapped in a room with a weird boy who has tapes of him as a child in many years before, looking the same now, Lydia finds out that the lady Lenore is a Banshee and the Ghost Riders didn't took her because of that. She saved her son of them like some kind of ghost. Caleb finally releases Malia and Scott out of the room and they, with Lydia, are leaving the house. They ask Lenore to come with them but she says she cannot leave Caleb although he doesn't even exist but oh well... Lydia understands her and she's afraid if they lose the Wild Hunt, she'll be left alone because she's a Banshee. She doesn't want to become Lenore. Back in Beacon Hills, Liam and Hayden decide to let their Nazi teacher in on their plan to capture a Ghost Rider (all the while not realizing that he’s a crazy powerful werewolf with questionable morals). But when Mr. Douglas informs them that the Ghost Riders probably have control over where and when lightning strikes, they realize that their lightning rod idea isn’t enough. They need something that can absorb the energy of a lightning bolt. They need Josh. But seeing as how Josh is dead, the next best thing is Theo, who absorbed Josh’s power when he killed him. So, with a little help for Kira’s sword - delivered by her mother, along with an update on Kira, who’s still with the Skinwalkers- Liam frees Theo. The bad news is that Theo’s brief trip below ground has stripped him of anyone else’s powers. He’s back to being 'classic Theo'. However, before Liam can send him back, he saves himself when he does the unthinkable: He remembers Stiles! He tells Liam that the Wild Hunt doesn’t stick around in a town unless they’re stuck. It means they won't leave until Beacon Hills become like Canaan. Sherrif Stilinski comes home and he starts peeling the wallpaper Lydia tried to peel before when Stiles' mom stopped her. He peels it and sees something. I cannot wait to see in the next episode of Teen Wolf! Are you excited and what do you think about this episode? I love you all and ...Until the next time! I wanna wish you all who celebrate Happy New Year and I wish 2017 will bring you much happiness, love and health before anything! But here I am now, on winter break! And I'll be able to write more! 4th and 5th episode of Teen Wolf were very intense ! I enjoyed them a lot and I can't wait to see the next one. They are so close to rescuing Stiles and I cannot wait to see how they are going to make that scenes, I really hope they'll make it amazing because less is not expected. That was all for this post! When the next episode comes out I will write another post about it because the feelings about these two past ones are the same as before, nothing so much happened that I could tell you about. This one is going to be about the 3rd episode of Teen Wolf from the last week. I need to tell you something : IT'S ENOUGH! Although Scott, Lydia and Malia are pretty good at it. Malia turned into the coyote and lost her human side for a while because she misses him . The first person in life who made her believe in love and mutual support. Although I loved her in her coyote shape, I am feeling sorry for her because she feels like a part of her is missing and I really want them to finally find Stiles! The whole thing about Stiles' grandpa ... It gave me chills,too. The look in Sheriff's eyes when his father said something like go back to your wife and your loser son. Like : SON?! DO I REALLY HAVE A SON?! And by the way, his real name is Noah? And Stiles' is definitely Mischief. Allison's dad and Melissa McCall have discovered the weird things happening. Several people have died and they all have something in common - a missing piece in their head that I can't remember how it is called but the teacher of Beacon Hills High School has been feeding with it and considering his memory, I think he could be one of the Chimeras. We found out so much in the last episode of Teen Wolf and I can't wait to see the next one! I love you all and talk to u soon! Well hello my dear wolfiers! After watching the second episode of the sixth season of Teen Wolf, I'm feeling a little bit better because it kind of gave all of us hopes, I think? They feel like the part of them is missing and they are trying to find it. Malia is feeling like she is missing a person who has been a big part of her life, who made her feel and act like human first time in her life and at the end - who taught her how to love and how it feels to be loved. Judge me Stydia shippers but I still believe in Stalia. Why? Because if Stiles never meant anything to Malia, why would she feel incomplete at all? He means a lot to her and we can see it by how she acts in the last episode. She said she feels like someone wants her to stay human and while studying she accidentally came across the word 'style' which is pretty similar to Stiles and she marked it off with red highlighter feeling like that word could mean something. Lydia, at the same time, feels like someone who is missing is the person she loves. She hears the voices in her head and when Scott told Deaton about all of this, Deaton found a way to make Lydia enter her subconscious and when she did that, she wrote a lot of 'Mischief' words on the paper forming the word 'Stiles' . I guess Stiles' first name is Mischief. But why would anyone give their child name 'Mischief'? That's so wrong if you ask me haha! 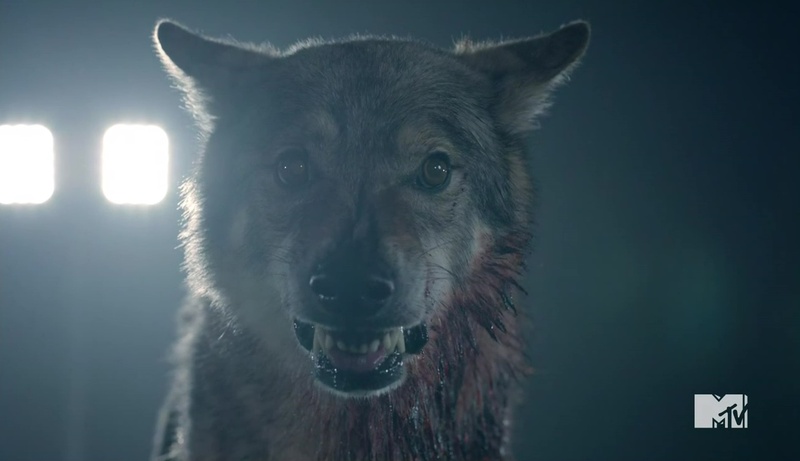 Well, we can definitely tell our pack won't forget Stiles and that we are going to get to know so much about the 'Wild Hunt' and the 'Ghost Riders' . Hope you enjoyed and talk to you soon!